Published: Nov. 15, 2018 at 08:33 p.m.
Seattle Seahawks running back Chris Carson fumbles on first play and Green Bay Packers cornerback Tramon Williams recovers. Published: Aug. 16, 2018 at 11:49 p.m. 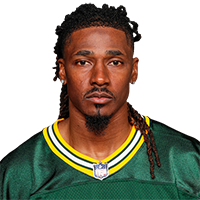 Published: Dec. 14, 2014 at 02:32 p.m.
Green Bay Packers cornerback Tramon Williams intercepts Buffalo Bills quarterback Kyle Orton. Published: Sept. 14, 2014 at 05:56 p.m.
Green Bay Packers cornerback Tramon Williams intercepts Jets QB Geno Smith's pass in the second quarter.